After I posted the four watercolor portraits that included family pets, another favorite I had done several years ago came to mind…. 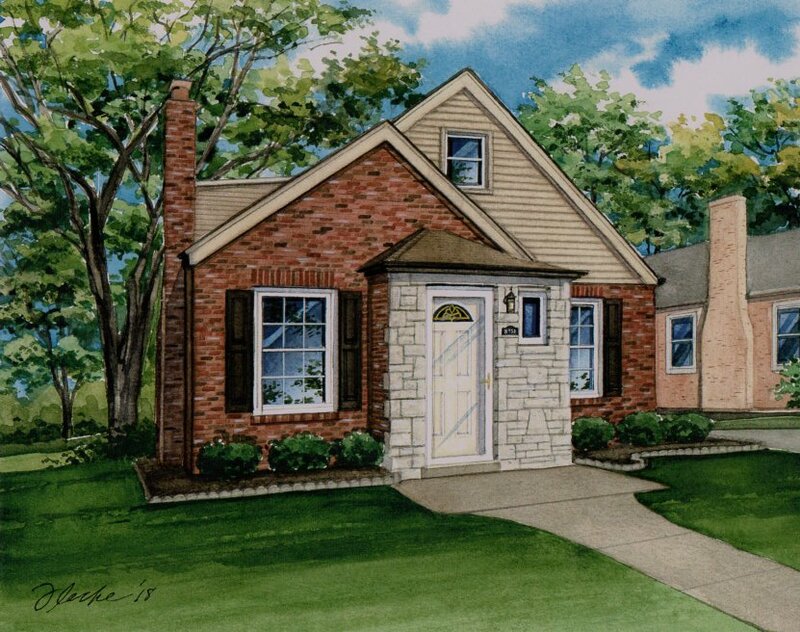 this watercolor painting of a gray frame home in Illinois! 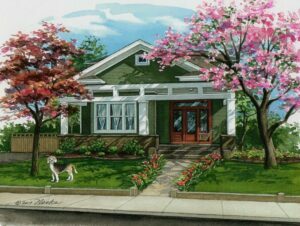 If you look closely, you’ll see two cats sitting in windows that the client asked be included. 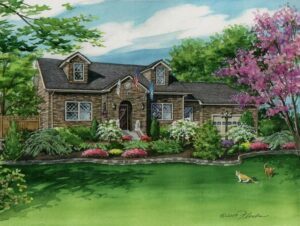 Their addition was a sweet touch that enhanced the charm of the older home, and I was happy to depict them! 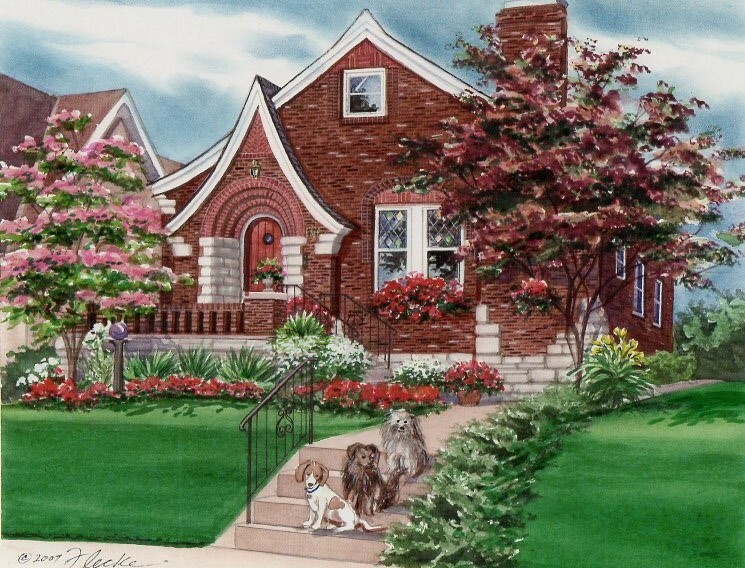 If you would like to include a beloved dog or cat in your custom house portrait, be sure to let me know — it can certainly be done. 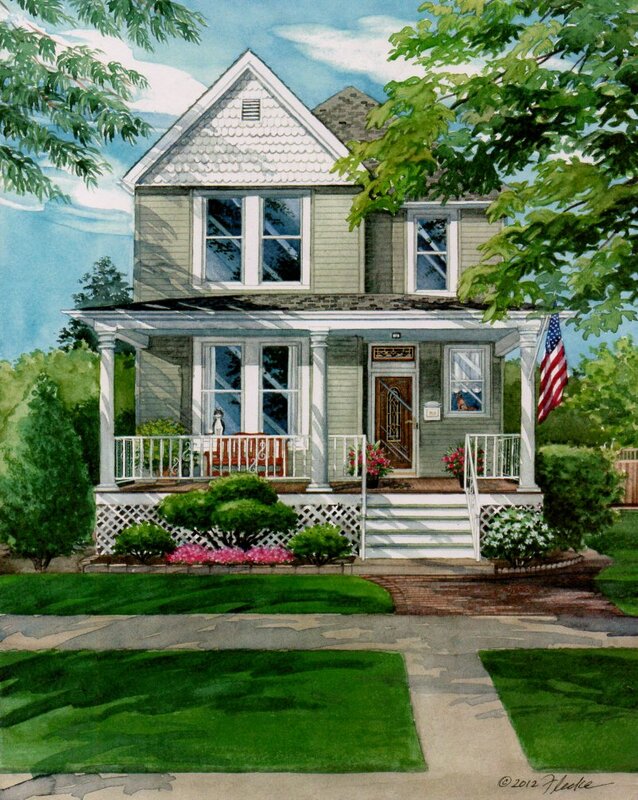 WANT TO MAKE YOUR HOUSE PORTRAIT EXTRA SPECIAL ? 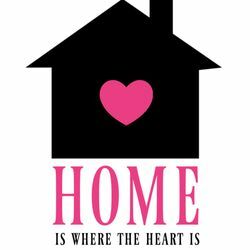 Include your beloved family dog or cat! 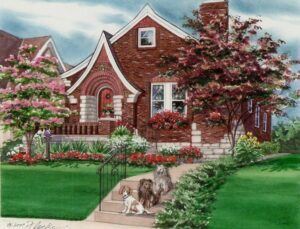 Furry friends make a personal and touching addition to a custom house painting, and give the artwork even more meaning. Just snap a photo or two of your pet, then we’ll discuss the best place to add it in your home portrait! Here are just a few I’ve done in the past — I’ll be happy to portray your precious pet too! Perfect Gift for Your Valentine — Any Time of Year! 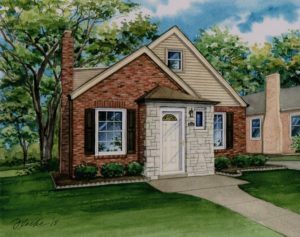 Because “Home is where the heart is”, consider surprising your loved one with a future gift of a watercolor or pen and ink portrait that beautifully captures memories of their current, former, or childhood residence! A custom house portrait makes a truly unique, heartfelt, and perfect gift for your Valentine any time of the year for any occasion, especially for parents who have raised families in a cherished home. 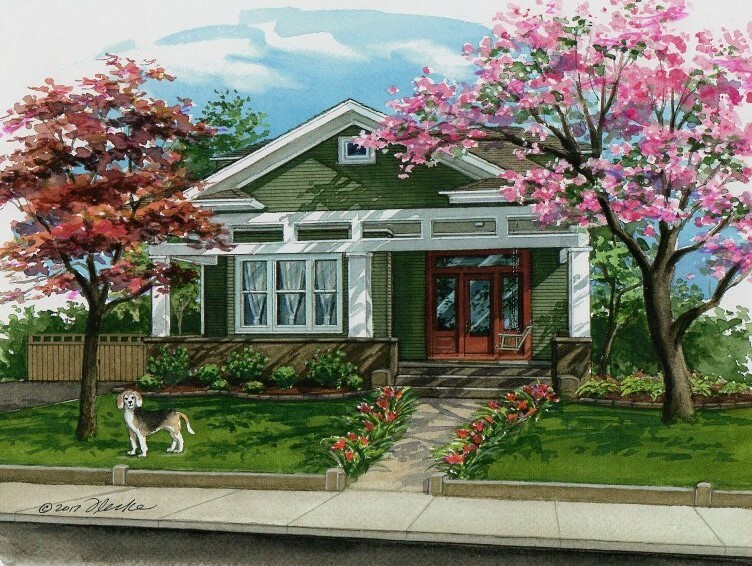 If desired, archival prints can be made for family members as a meaningful keepsake too. 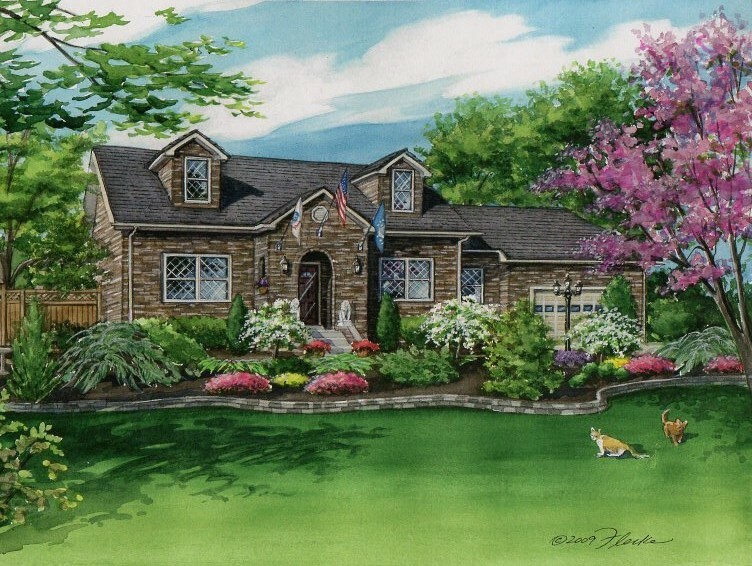 If you have a special house or property you would like portrayed, call me at 314-892-9221 to discuss your wishes — orders are now being taken for Spring/Summer! 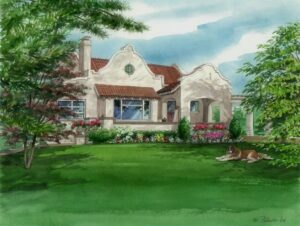 This was such a beautiful traditional home and landscape to portray! 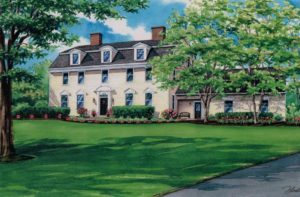 Completed on January 28, this 11″x 18″ watercolor depicts a large frame home in Port Matilda, Pennsylvania that was commissioned by the homeowners because the family will be relocating soon and they wished to have an artwork keepsake of their residence. This is the third custom house portrait I’ve provided for this upwardly mobile family, and I hope it brings many fond memories! 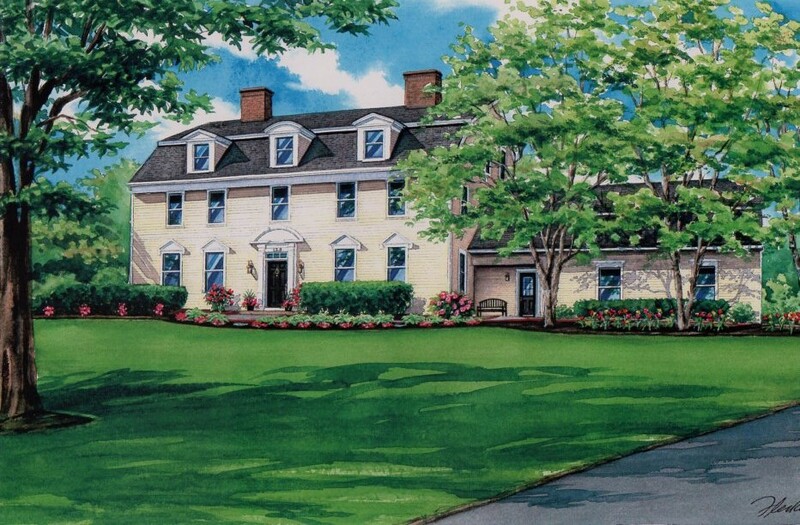 I hope my client’s family is proud to have lived in a a home designed to look very similar to one connected to a famous American patriot!